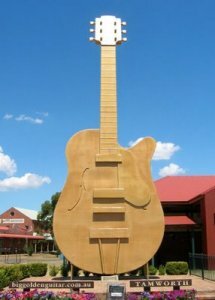 Welcome to TAMWORTH, population 42,000, the "Country Music Capital of Australia". Brisbane; beautiful country and a great hub from which to explore northern NSW. varieties, gem fossicking, bush walking. Tamworth is the gateway to the North West Plains and the New England District. Easy access by air, rail, bus, and car. Vegetables, horse studs, cattle, sheep.